"To God Be the Glory" was the hymn used to open every Evening Worship Service, broadcast live on WXRI-FM, from the South Norfolk Baptist Church auditorium. Here is "To God Be the Glory," sung on the 50th anniversary of "Songs of Praise," the oldest Christian music program broadcast on the BBC. Pastors are encouraged to read and use the sermons by Rev. Hughes in their own sermon preparation study. 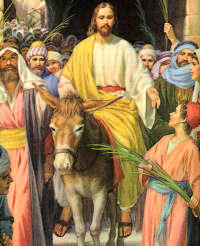 Pastors can use the entire sermon with title, but cannot publish it on commercial basis, which is under 2012 copyright. "The Pastor's Pen" was a personal note written by Rev. Hughes in the weekly church paper "The Messenger." Other pastors may use any of that material they wish, even as is, but may not publish any of those on a commercial or private basis, as they are under 2012 Copyright. All paintings by Rev. Frank Hughes, Jr, on this website, are under 2013 copyright; they are not for public publishing or for sale. This website now averaging over 500 visitors a month. Rev. 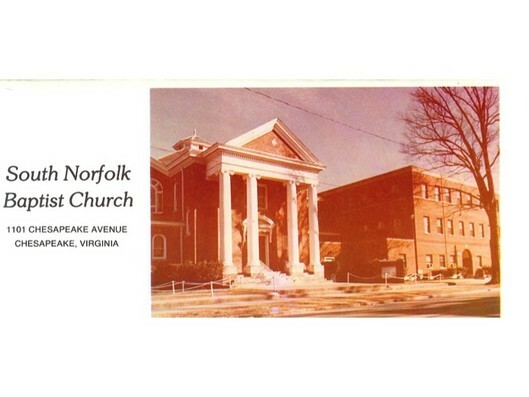 Hughes served as Pastor of South Norfolk Baptist Church, February 9, 1947--September 30, 1984. Born in Currituck County, North Carolina, he attended Wake Forest College and Southwestern Baptist Theological Seminary. He made a profession of faith in Jesus Christ during a revival at the Knotts Island Methodist Church, at age 12, was baptized in the Currituck Sound, and became a member of the Knotts Island Baptist Church, where the family attended. 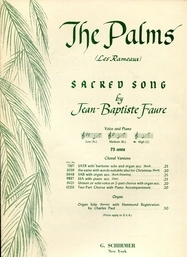 "THE PALMS" (Faure) A VIOLIN AND ORGAN DUET. "THE PALMS" Crystal Cathedral Choir. "THE HOLY CITY" SOLO: MRS. JOHN DENGEL. ORGNIST: MRS. GWEN WHITEHURST. 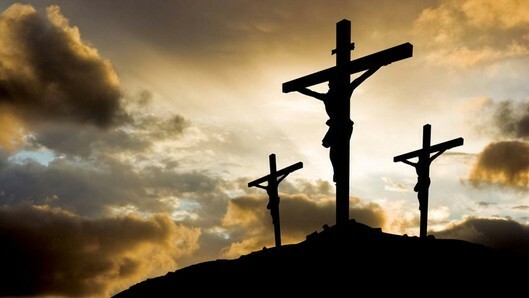 "When I Survey The Wondrous Cross" by Gilbert Martin performed live at First Baptist Church, Jackson, MS on June 17, 2008, by The Mississippi Baptist All-State Youth Choir. The Mississippi Baptist All-State Youth Choir was first organized in 1993 by the Church Music Department of the Mississippi Baptist Convention Board under the leadership of Susan Clark Luttrell, youth minister consultant, and L. Graham Smith, department director. This special choir and orchestra is made up of 9th-12th graders who are chosen through a personal audition and interview process. Each member must be an active participant in the music ministry of their local church and recommended by their pastor, school teachers, and minister of music. James Meaders, Mississippi College, Clinton, MS is the choral director. David Young, Instrumental Contract Consultant, Church Music Department, MBCB, is the choir's orchestra director. 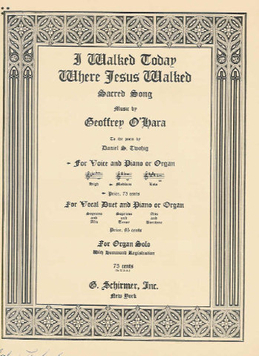 sings "I Walked Today Where Jesus Walked,"
He is accompanied by Organist, Gwen Whitehurst. Recorded at South Norfolk Baptist Church. "I WALKED TODAY WHERE JESUS WALKED" SOLO: CHAUNCEY GERMAN. ORGANIST: GWEN WHITEHURST. (RECORDED AT SOUTH NORFOLK BAPTIST CHURCH). The Men's Chorus and Choir. Narrator: Mr. Roy Shields, Organist: Gwen Whitehurst, Pianist: Betty LeBlanc. Recorded live at South Norfolk Baptist Church. In Stereo. "He is not Here" (From the Cantata, "Behold Your King" by John W. Peterson) The Men's Chorus and Choir. Narrator: Mr. Roy Shields, Organist: Gwen Whitehurst, Pianist: Betty LeBlanc. Recorded live at South Norfolk Baptist Church. In Stereo. "Lift up a Song of Praise"
Duet: Mrs. John Dengel, Mr. Jack Hollowell. Narrator: Mr. Roy Shields. Organist: Gwen Whitehurst, Pianist: Betty LeBlanc. Recorded live at South Norfolk Baptist. In Stereo. "Lift up a Song of Praise" Duet: Mrs. John Dengel, Mr. Jack Hollowell. Narrator: Mr. Roy Shields. Organist: Gwen Whitehurst, Pianist: Betty LeBlanc. (From the Cantata "Behold Your King," by John W. Peterson) Recorded live at South Norfolk Baptist. In Stereo. Hammond Coates, Minister of Music and Education, leads the South Norfolk Baptist Church Congregation and Choir in singing, "Low in the Grave He Lay." 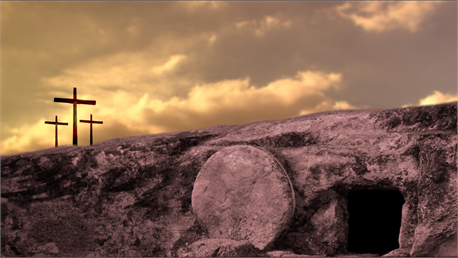 "LOW IN THE GRAVE HE LAY" SUNG BY THE CHOIR AND CONGREGATION, SOUTH NORFOLK BAPTIST CHURCH. HAMMOND COATES, MINISTER OF MUSIC/EDUCATION; ORGANIST: GWEN WHITEHURST; PIANIST: BETTY LeBLANC. Rev. Hughes preaches a dramatic sermon, "Formal Expressions," in which he role-plays various characters in the Easter story. This sermon impressed me very much when I first heard it as a youngster. 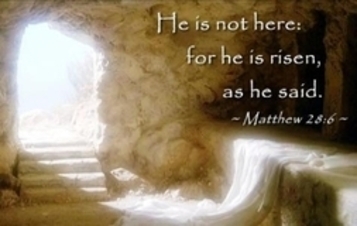 This follows after the Hymn "Christ the Lord is Risen Today," Scripture Reading, Organ Meditation by Russell Matthews, and Prayer by Pastor Hughes. (From April 11, 1982).